BMW works with over 3,200 suppliers worldwide, across 4,500 locations in 50 countries, meaning the company takes delivery of over 31 million parts every day. Those are mind-numbing figures and yet, the Germans keep tabs on every single one of their partners and, to show their appreciation, hold the BMW Supplier Innovation Awards every year. 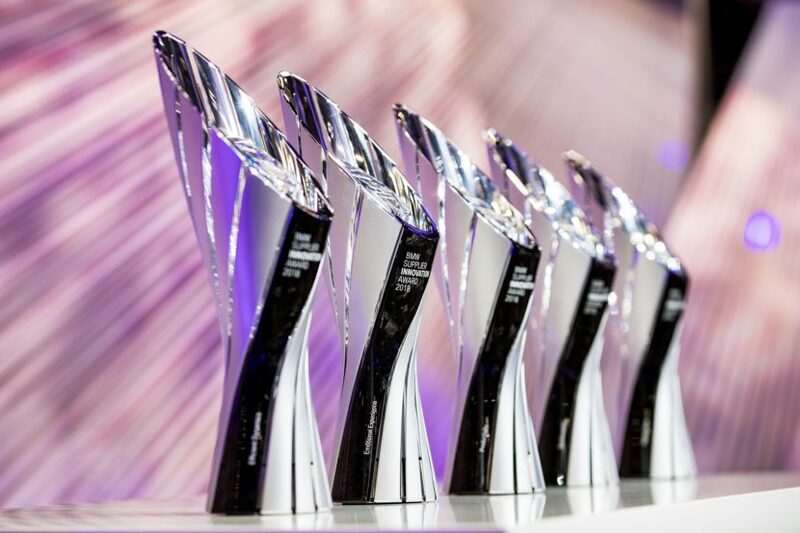 2018 marked the fifth edition, in which 15 suppliers were recognized for their efforts. The awards were handed out across five categories: Productivity, Sustainability, Efficient Dynamics, Digitalisation and Emotional Experience. With the company now migrating towards becoming a tech giant, the suppliers have also morphed, becoming innovation partners and system developers in their own right. This change in the status quo means that over the years, their share of value creation at the company has risen steadily and currently stands at over 70 percent, adding up to a total purchasing volume of around 60 billion euros. The winners of each category set themselves apart by either innovating or achieving incredible performances in a certain field. 3Con, for example, created the world’s fastest laminating system. It can attach sewn leather and synthetic-leather coverings to an injection-molded part with a cycle time of only 30 seconds, reducing production costs by 80 percent while LG Chem created a 12V lithium-ion battery that saves weight and reduces CO2. Both of these companies were winners in their respective categories on Wednesday night at Landshut. Previous post Would you daily this Phoenix Yellow E46 BMW M3?